Welcome to Anthem, Zipcode 89052, Henderson's beautiful masterplanned community nestled high in the foothills of the Black Mountains. 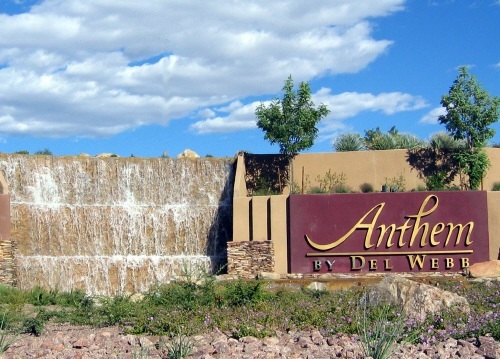 Deisgned by Del Webb, who has since been purchased by Pulte Homes, Anthem consists of over 4700 acres and a number of different neighborhoods. As you drive up te hill and pass the Anthem Waterfall depicted above, you can feel you rbody decompress and leave the hustle and bustle of Las Vegas city life behind. Anthem is comprised of several communities. Anthem Coventry features about 1200 single family resale homes in single story and 2 story floorplans ranging from about 1500 square feet to over 4000 square feet. The Reunion Park meanders through the community. Sun City Anthem is an age 55+ Henderson retirement community of approximately 10,000 homes and attached maintenance free patio homes. Sun City Anthem features three clubhouses and recreational facilities with state of the art fitness centers, wellness centers, arts and crafts rooms, computer rooms, card rooms, billiards room, tennis courts, indoor and outdoor swimming pools, bocce ball courts, wood shop, etc. and restaurants. Sun City Anthem residents are also eligible for discounts on the two Sun City Anthem public golf courses. 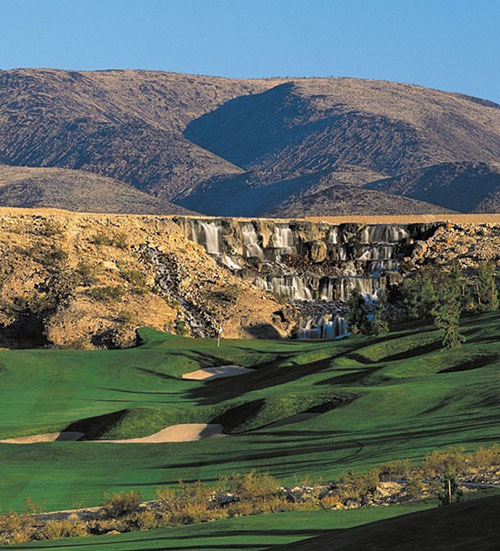 The terrain is so beautiful as Sun City Anthem is set high above the Las Vegas valley floor. 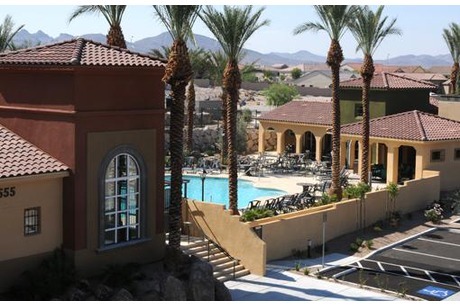 Just outside of Sun City Anthem is an age restricted 55+ retiement condo commuity called Terra Bella. These are luxury condos offering a very easy lock and leave lifestyle. Anthem Country Club is a luxury guard gated private golf course communityfeauting four collections of Del Webb and Pulte built homes, custom homes & lots in double gated parts of the Country Club. 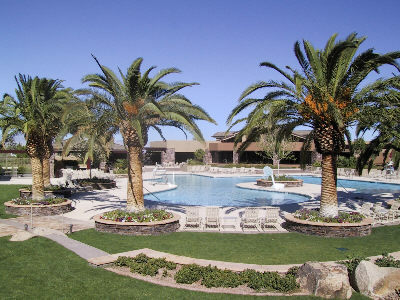 Anthem features a championship Hale Irwin golf course,sand volleyball, tennis courts, clubhouse, fitness center with resort style swimming pool and lap lanes, as well as 3 different dining options. Anthem Highlands is a residential community built by Pulte Homes, featuring about 1400 homes ranging in size from 1580 square feet to over 3000 square feet in 1 and 2 story floorplans, some with casitas. 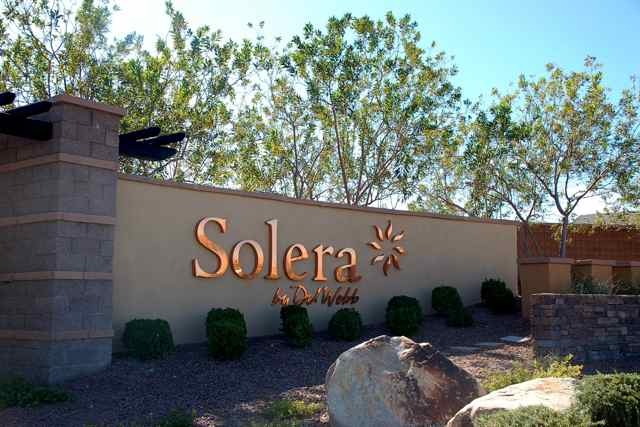 Solera is an age 55 plus active adult retirement community of about 2000 homes and townhomes called The Villas at Solera priced lower than Sun City Anthem homes. 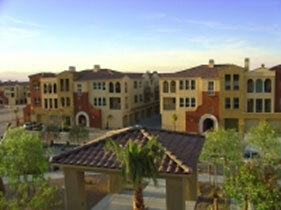 The floorplans at Solera are fewer than at Sun City Anthem and the homes are all energy efficient in construction. The Solera homes range in size from about 1150 square feet to 1700 plus square feet. Solera features a community clubhouse, pools, exercise facility and tennis courts. The Villas at Solera are built in single level duplexes or triplexes, are gated, and totally maintenance free. 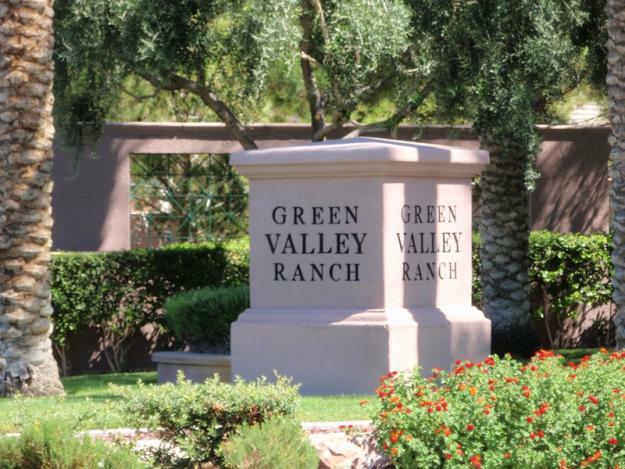 Green Valley is a Henderson NV masterplanned community developed by American Nevada Corporation, and the Greenspun Family, long time Las Vegas residents. 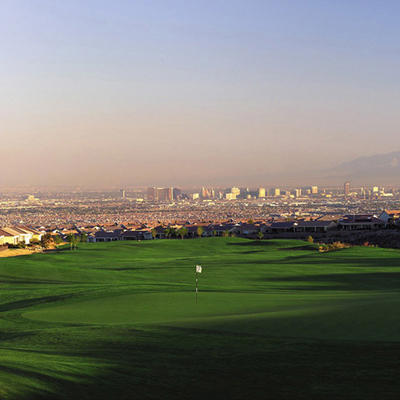 A harbinger of other masterplanned communities in Las Vegas, such as the Lakes, and Spanish Trail, Green Valley is located in the southeastern portion of the Las Vegas Valley in the city of Henderson. Did you know? Henderson Facts. Highest development standards in the state of NV. Lowest property taxes in NV. Green Valley has been further divided into other areas such as Silver Springs, Green Valley South, Green Valley Ranch, and the Legacy areas which combined consists of about 8,400 acres of luxury homes, gated and guard gated homes and condospriced from the low $100k'ss to over a million, this lush beautiful area offers something for everyone! 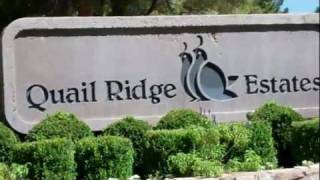 The District is a great part of Green Valley Ranch and home to the Green Valley Ranch resort and Casino and wonderful condos and lofts. Green Valley schools are know for their high nationwide test scores in comparison to others in Clark County. Green Valley High was voted one of the top 10 high schools in the U. S. in 1997 and has many advanced placement classes and the Henderson International Academy is one of Las Vegas' best private schools with a long waiting list and a campus that sits in the Sunridge Ranch part of Henderson. 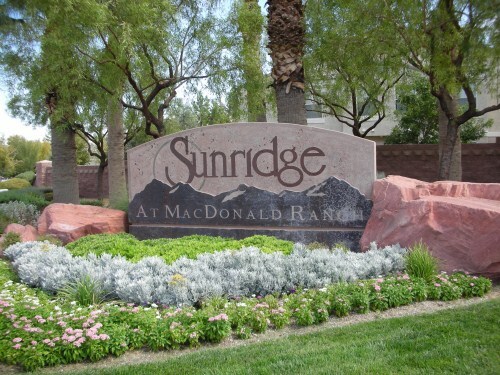 The luxury homes for sale in the Henderson neighborhood ofSunridge Summit of a great location near the best schools in Henderson, and sit high on a hill in a gated community built by D.R. Horton, America's # 1 homebuilder, on a very special piece of land offering some of the best Las Vegas Strip views and oversize lots. The links below will give you access to MLS listings in our favorite Green Valley luxury neighborhoods, featuring some Guard Gated Communities as well. Enjou browsing and please keep track of the MLS numbers that interest you or simply submit an inquiry via the on line link and we will get back to you asap. 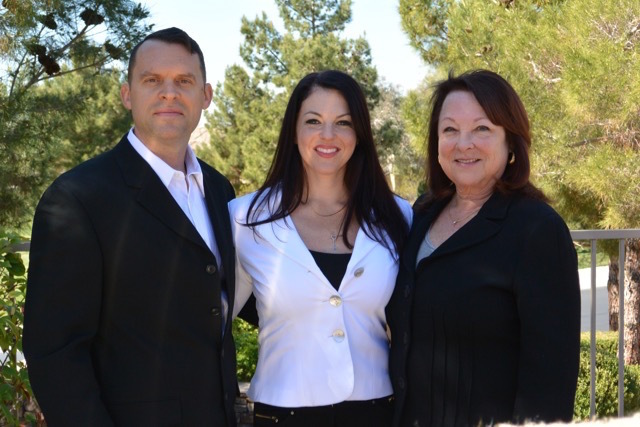 The Stark Team lives and works in Henderson and we love it! Let us show you why! 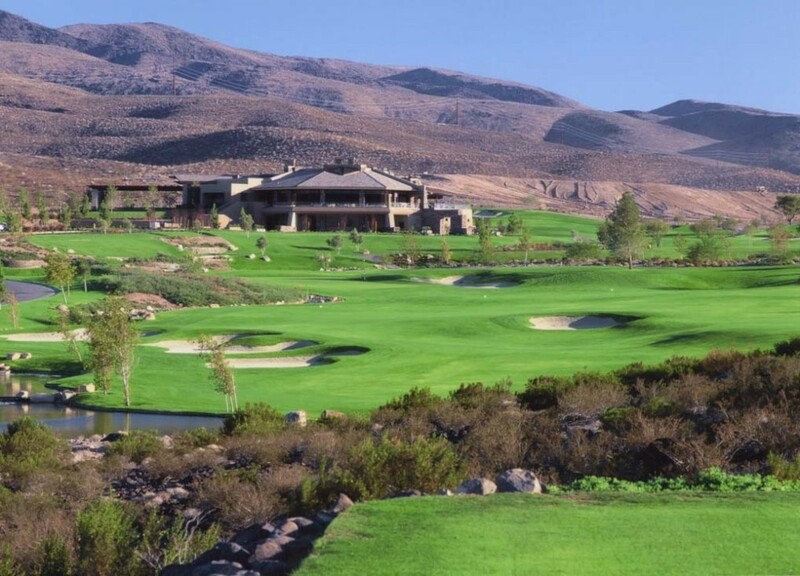 Buyers interested in Anthem and Green Valley Luxury Homes for Sale should check out Club M, also known as the Club at Madiera Canyon new homes in Henderson NV.